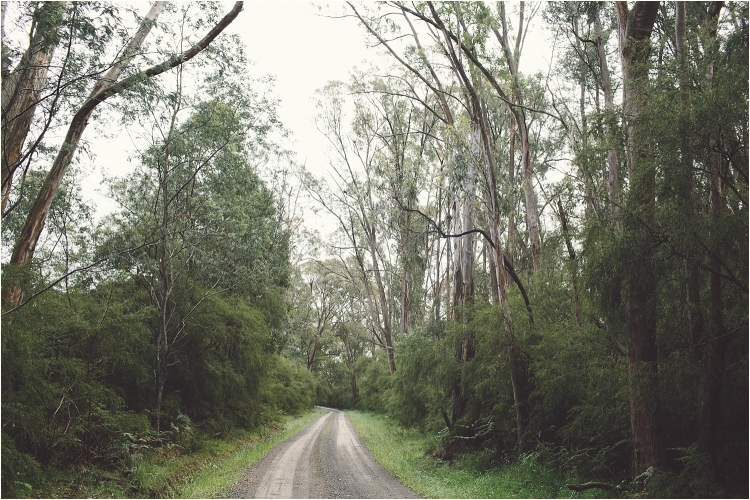 I turned off the highway onto a dirt road passing open paddocks with only a spattering of trees. 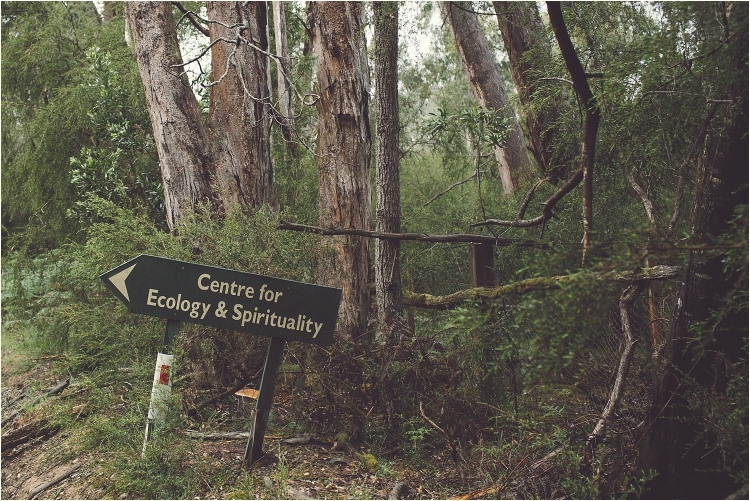 I was headed to aÂ retreat centreÂ Â that I’d never been to before and really really hoped that it would be surrounded by trees. Before long the road looked like this and I knew it would be surrounded by trees. I breathed out making more room to breathe in the energy of the trees and open to whatever the day may bring. And then I found it – even the sign pointed up. I smiled and felt it was going to be good day. I knew a couple of people going but I still always walk into a room and feel nervous. I am not sure why but I do. But I was excited for the day. There was a room with drums and I knew I was in the right place but I didn’t know where anyone was. I soon found them in the kitchen having a cuppa and then the day began. It was perfect to start the day – I choked up a little within because it was perfect for where I am in my life right now. And then I handed over my fear and embraced the class. 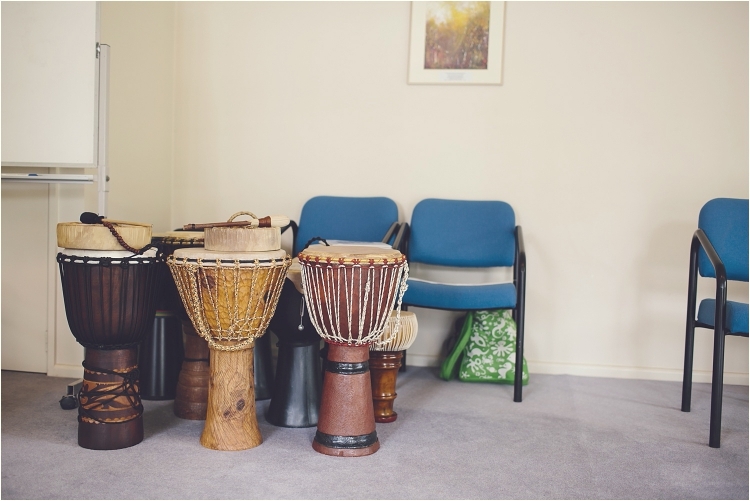 Christina is an amazing teacher who had us playing simple rhythms on the hand drums and djembes. And we sang too. I didn’t know we were going to do that and it was amazing that two of the songs were songs that I use to sing to my children each evening. I learnt some new ones too. Earthy songs, world music songs, simple songs, simple patterns and then a little bit harder. We played in parts. We sang in rounds. I reached the meditative state in each quite deeply which made my whole being tingle – Â so beautiful at times it brought tears to my eyes and I had to stop for a little bit before joining back in again. I don’t think anyone noticed. I was so grateful to be there. We were a small group. I think there were nine of us. We were different ages, from different backgrounds, we lived in different parts of Victoria except a young girl from Chicago staying at the centre as part of her studies on sustainability and spirituality. This was the perfect place for all of us. It was welcoming, warm and friendly. We spoke about the feeling of connection between one another and enjoyed seeing each other laugh as we made a mistake, concentrate hard and have a go joined together bathing in sound. Christina was the perfect teacher. She is a singer, performer and teacher and more. Â I’d love to see her band someday. Before lunchÂ Lisa ShortridgeÂ gave us a sound bath. We had no idea of the sound instruments used until afterwards when she showed us everything from gongs to singing bowls, pentatonic xylophones, windchimes and tibetan bowls and more. It was a deeply relaxing 40 minutes. After lunch we spent the rest of the afternoon of drumming and a little singing. This statue in the garden really is perfect for this place – nuturing and peaceful. After the others said goodbye and left for home I stayed a little longer and explored a bit more. Walking in the labyrinth I was prompted to stop. As I looked down right in front of my feet I noticed this heart shaped leaf so I bent down and picked it up to look closer. This is what I saw, this is what came to me. I took a self-portrait on my iphone because I felt blessed and relaxed and overflowing with everything I’d received today. Mary White - The seeds of your day are so beautifully captured in word and image. The energy of this day continues to permeate myself and place. A gentle vibration sings and holds all that is. Today a wombat lay itself to rest under the tall Rubida Tree. It walked the cosmic circle and lay. We watched it take is last breaths. A sacred moment of what blesses us in our coming and goings. It is so important to bring our awareness to each blessed moment. Kookaburra sang the wombat spirit on. Amen.